Sotheby's is honored to announce the sale of the prestigious collections of Eleanor Post Close and her son, Antal Post de Bekessy. 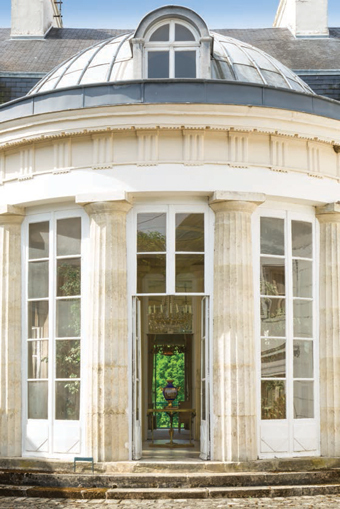 650 lots of furniture, 18th and 19th-century sculpture and works of art, as well as paintings, drawings, watches and wine, will be offered in a series of five dedicated auctions between Paris and London. Renowned for their generous donations to museums and foundations such as the Smithsonian Institution, Château de Versailles and the Hillwood Museum, the family's cultural legacy, particularly in the US and France, is tremendous. The collections up for auction encompass works by a broad range of artists from across the centuries, including works of Clodion, Nicolas de Largillière, Odilon Redon, Auguste Rodin and Zao Wou-Ki. The residence of Eleanor Post Close & Antal Post de Bekessy.